The Democrats: Can they break their losing streak? Donald Trump said that as president he’d be winning so much, people would get sick of it, said Maureen Dowd in The New York Times. Well, the Democratic Party is certainly starting to feel queasy. Jon Ossoff’s four-point loss to Republican Karen Handel in last week’s special election in Georgia’s 6th Congressional District was a “soul-sucking disappointment.” The Democrats have now been “skunked four to nothing in races they excitedly thought they could win because everyone they hang with hates Trump.” To end this losing streak, the party will have to “look in the mirror” and figure out why it keeps falling short, even with a historically unpopular Republican president in the White House. 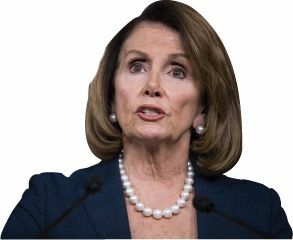 There’s no single reason, said Aaron Blake in The Washington Post, but some Democrats are pointing fingers at House Minority Leader Nancy Pelosi. To red-state voters, the 77-year-old San Francisco liberal is the ultimate bogeywoman, and attack ads in Georgia depicting Ossoff as Pelosi’s puppet may well have made the difference in this close election. Until Democrats deal with their “persistent Pelosi problem,” or Pelosi deals with it herself by stepping down, they’ll struggle to win the marginal districts they need to take back the House in the 2018 midterms. Democrats’ obsession with those issues is their biggest problem, said Rich Lowry in Politico.com. The party can’t fathom why it doesn’t “win tough races in marginal areas,” yet it continues to insist that all of its candidates hold far-left views on social issues such as abortion, guns, and immigration. By refusing to allow internal dissent on these questions, Democrats are losing millions of potential votes from “culturally conservative voters who might not support Republican economics.” Democrats have to focus on winning back the white working-class voters who handed Michigan, Pennsylvania, and Wisconsin to Trump in 2016, said Franklin Foer in The Atlantic. That doesn’t mean abandoning “moral principles.” But it does mean crafting “a message that can resonate with people” whose top priority is the economy, not social justice.